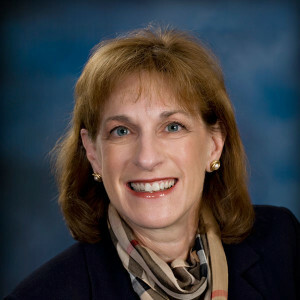 Cynthia Weiner has been with The Flynn Company since 1992. Formerly an Asset Manager with The Linpro Company, a national real estate development company, Cindy was involved in the extensive management and leasing of a variety of office, flex and retail properties consisting of over four and a half million square feet. Her expertise for over thirty years has involved the leasing and the management of various high profile projects as well as lease and purchase negotiations between owners, buyers and tenants. Due to Cindy’s experience in both Landlord and Tenant Representation, she is able to realistically advise clients in all facets of a real estate transaction. Cindy has consistently maintained over a 92% occupancy rate in all of the projects that she has been associated with through marketing and tenant retention. Throughout the years, Cindy has completed over 75 transactions annually. She has received broker recognition awards from The Bloom Organization, Brandywine Realty Trust and Liberty Property Trust. She has also participated in the sale of various properties totaling over $300,000,000. She has continued to represent various national and regional tenants. During her free time, she enjoys being active with various non-profit, community organizations. She has served as President for the Voorhees Newcomers Club, has been a leader for the Camden County Girl Scouts for over twenty years and is currently Chairman of the Berlin/Gibbsboro/Voorhees Municipal Alliance. She spearheaded the development of “The Spot”, a Teen Center at the Voorhees Town Center. Additionally, Cindy is on the Board of Trustees for Congregation M’kor Shalom and the Chairperson of Fundraising. Cindy also served as Chairman on the Voorhees Economic Development Committee. Cindy is a member of Business Committed to Burlington County. She is a graduate of University of Maryland with a B.S. in Elementary Education and a minor in Business Administration.